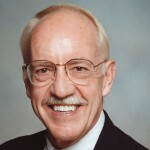 Ron Carlson has authored fourteen books on evidence, trial practice and criminal procedure, in addition to professional articles in journals like the Duke, Cornell, Vanderbilt, Iowa, Northwestern, Georgia and Minnesota law reviews. His texts range from Ladd and Carlson on Evidence to Evidence: Teaching Materials for an Age of Science and Statutes (5th ed. 2002). Professor Carlson has taught in numerous continuing legal education programs throughout the country. He has appeared as trial and appellate counsel in several cases, including arguments in two major appeals before the U.S. Supreme Court. He was trial counsel in a widely cited case establishing the right of mental patients to humane treatment: Eckerhart v. Hensley, 475 F. Supp. 908, later decision 103 S.Ct. 1933 (1983). In 1987, Professor Carlson was named by the Roscoe Pound Foundation as winner of its prestigious Richard Jacobsen Award, in recognition of "his demonstrated excellence over the years in teaching trial advocacy principles." In 1989, he received The University of Georgia's highest award for instruction, the Joseph Meigs Award for Excellence in Teaching. In 1992, the Federal Bar Association conferred its highest award upon him, the Earl W. Kintner Award for Distinguished Service. Finally, in 2000 ALI-ABA presented the Harrison Tweed Award to Professor Carlson in recognition of the citations to his work by "the Federal Advisory Committee drafting new amendments to the Federal Rules of Evidence relating to expert witnesses."